Buy an Image calligraphy wall scroll here! 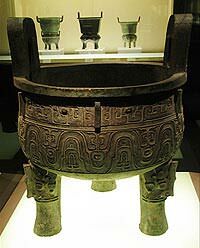 鄐 is a Chinese surname that romanizes as Chu. Please note, there are several surnames that romanize as Chu. In fact, in the mainland, names that romanize as Zhu would be Chu in Taiwan. It's easy to get confused to please email me if you are not sure about which surname you need (send me an image of the character if you can). 龜 is the generic term for turtle in Chinese, and old Korean Hanja. It's like saying "turtle" (or "tortoise") without being specific about species of turtle. 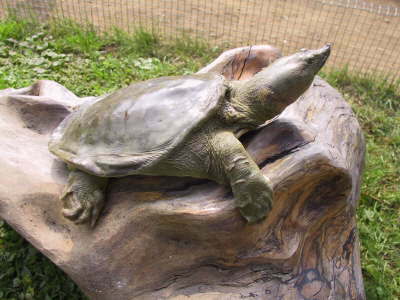 Please note that there are many special characters in Chinese and a few in Japanese that denote specific species of turtle, and do not include this character. We can't possibly cover all of these species but if you want a certain one, such as "loggerhead" or a "leatherback," just contact me and I'll do my best to research your special species. If you noticed, I said species names that do not include this character. 龜 is because, in much the same way we can do it in English by just saying, "loggerhead," instead of "loggerhead turtle," the same can be done in Chinese and Japanese. This may be hard to believe but the image shown to the right is an alternate version of this character, which is currently used in Japan. This was originally an alternate form in ancient China for turtle - but it's so obscure now, that most Chinese people would just think this is the Japanese version of turtle (I did a lot of research on this). The version shown in the upper left is traditional Chinese (also used in Korea, prior to 100 years ago). It will generally not be recognized by the new generation of Japanese people. If your audience is Japanese, please click on the Kanji image shown to the right to have the calligrapher write that version (instead of clicking the button above). Note: In Japanese, this Kanji is also a representation of long life. This is related to the fact that a tortoise can live for hundreds of years. Some people may refer to this entry as Image Kanji, Image Characters, Image in Mandarin Chinese, Image Characters, Image in Chinese Writing, Image in Japanese Writing, Image in Asian Writing, Image Ideograms, Chinese Image symbols, Image Hieroglyphics, Image Glyphs, Image in Chinese Letters, Image Hanzi, Image in Japanese Kanji, Image Pictograms, Image in the Chinese Written-Language, or Image in the Japanese Written-Language. 6 people have searched for Image in Chinese or Japanese in the past year.